First of all we would like to wish all schools, teachers and pupils a very happy and restful mid-term/half-term break after an action packed and successful Maths Week! It has been the most successful Maths Week to date and that is thanks to all of you! We are very proud to say that over a quarter of a million pupils were registered on our website with an estimated 50 000 more people attending events across the island. Thank you for making it so successful and spreading the message that maths is for all! We are still collecting feedback and want to make Maths Week 2017 even better. 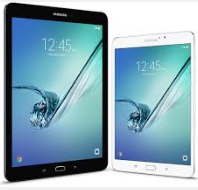 Complete our survey by Friday the 4th of November and be in with a chance to win a Samsung Tablet. The numbers speak for themselves - the message of 'Maths for all' is spreading! We will also be continuing to spread this message throughout the year - watch this space for more details! If you have registered on our website you will be emailed a Certificate of Participation. This can be displayed with pride in your school and keep the Maths Week message alive throughout the year! 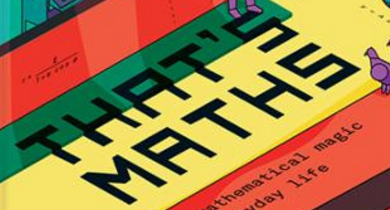 Don't forget you can upload any photos of Maths Week events to the Maths Week website - just follow the link sent to you in your confirmation email. All of the photo's from Maths Week 2016 events can be found in our gallery. Maths Week itself may be over there are still plenty of activities that you can keep going in your school. The Maths Eyes competition is open until Friday the 25th of November so plenty of time to get the Maths Eyes out and submit your entry. More details can be found here. Our Maths Map of Ireland will remain live all year and we are encouraging all schools and communities to place the maths in their area on the map. If you didn't get the chance to try out any of the problem solving lessons during Maths Week then do not worry. These will remain on our website for you to download at any time! Keep checking the Maths Ireland website for updates and blogs throughout the year. The winner of two sets of Izak9 cubes is Paul Davis, Scoil Naomh Eoin, Ballincurrig, Co. Cork. MangaHigh will be in contact with these winners. A full list of the MangaHigh Prizewinners can be found here. The two top scorers were: Caheragh NS and St. Joseph's BNS. Well done to all, especially the smaller schools and younger classes! This was the first year we ran Simultaneous Simultaneous Equations and altogether there were 4812 pupils across Ireland doing Simultaneous Equations Simultaneously! Special thanks go to Lorna Wilson from St. David's Holy Faith Secondary School in Greystones who came up with this great idea. There was widespread coverage of many Maths Week events. RTE's programme News2Day came to visit one of our events at Engineers Ireland. Click here to see the full clip. 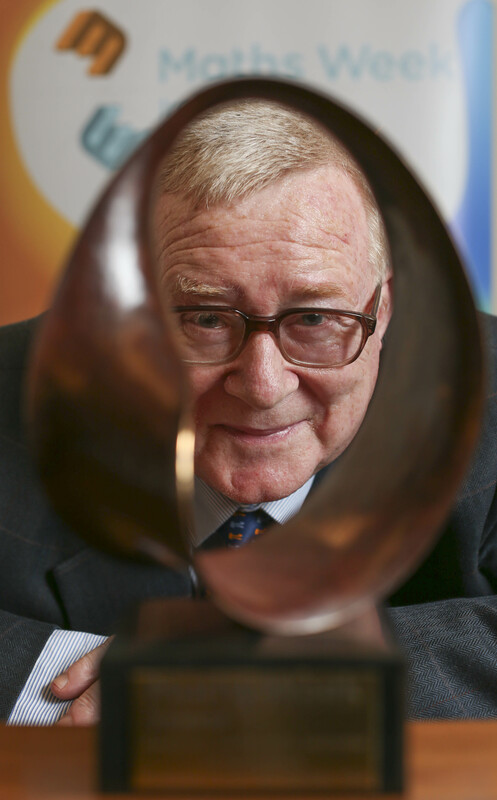 Desmond MacHale, recipient of the award for raising public awareness of maths speaks to Keelin Shanley on the Sean O'Rourke show. Click here to listen to the full podcast. 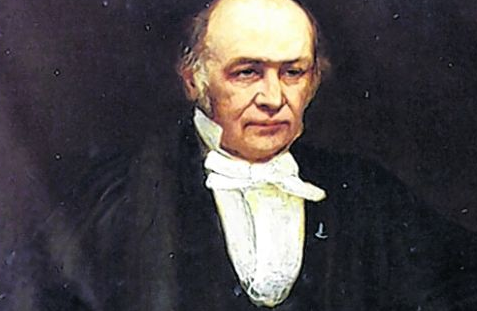 Dr. Aoibhinn Ní Shuilleabhán featured an article about William Rowan Hamilton in the Irish Times. Maths Week always takes place around the 16th of October to mark the anniversary of the discovery of quaternion algebra. 'That's Maths' by Peter Lynch is a book of mathematical articles that has just been launched. The collection of 100 articles includes pieces that have appeared in The Irish Times over the past few years, blog posts from this website and a number of articles that have not appeared before. Make sure you keep us updated on all your maths events and activities throughout the year. You can find us on Twitter @mathsweek or Facebook.